See also Why Does Judaism Forbid Cremation? Jewish burial tradition for thousands of years has considered an eventual interment in the sanctified grounds of a Jewish cemetery paragon in importance. The Biblical Commandment, "To the ground you shall return" is one of the first directives recorded in Genesis. Abraham the father of the Jewish people purchased what would become our forefather's ancestral burial grounds in the ancient city of Hebron in the holy land. Later when his grandchildren dwelt in Egypt, Jacob and Joseph after him, made their progeny swear to bury their earthly remains in the ancestral land of Israel and not amongst the non-Jews. To this day the holy burial sites of the Jewish people are visited not only in Israel but also throughout all of the lands of our exile. One of the first communal activities of every Jewish community traditionally has been to establish a cemetery and the burial society responsible for its operation. 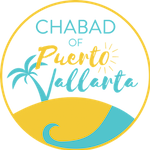 The Jewish burial society, or Chevra Kadisha, was always considered one of the most important and holiest groups within any Jewish community. How is it possible that now nationally the majority of Jewish people are not only no longer being interred in accordance with Jewish traditions, but in some communities more than 50 percent are actually being cremated? To understand this unfortunate trend we must first view it in the framework of the larger issue of assimilation. Quite often we find that the affected individual's subconscious desire is only to want to "go with the flow" of contemporary society. Not sensing anything intrinsically wrong with behaving in accordance with the same customs as his fellow countrymen. Many Jewish households place a tree up for what they refer to as, "The Holidays" each year, painting eggs in spring time or commemorating the Patron Saint of Love on Valentine's Day. What is actually quite amazing is that the average Jewish American would totally deny that any of these observances are in anyway connected with religion. What has developed as result of this is simply a natural progression to other more significant non-Jewish observances. Cremation in its modern form is a relative newcomer to the American funeral industry. Prior to World War II to a great extent the only cremation that occurred was limited to the destruction of medical waste and amputated body parts in hospital incinerators. Cremation does have an ancient history and tradition in many religions and undoubtedly in some cultures it is considered the normal method for disposing of human remains. In Western society however it was nearly unheard of, with the notable exception of horrendous public executions infamous for burning their victims. It is actually quite amazing how in just one generation what was considered to be the greatest crime inflicted upon the physical bodies of the Jewish people by the Nazis should become a relatively accepted method of "burial". The amazing incongruence of this situation is emphasized when one realizes that the technology and method of cremation in America is basically the same as the one utilized in the concentration camps during the Holocaust. Many of the actual engineers and their designs were imported only after World War II from Germany. The average person who considers cremation would be horrified to even imagine that the body of their loved one could be in any way damaged after death. The idyllic media-influenced image of a "Gandhi Like" funeral fire blinds the American Jew to the horrific reality. Cremation is the burning of a human being leaving only what is mostly a skeletal frame. A device referred to as a bone crusher is then necessary to pulverize the charred skeleton into the appearance of ashes. All of the aforementioned still does not take into consideration the importance of Jewish burial. Both from the spiritual and heritage perspective how we honor our dead is of paramount importance. Our Torah teaches us that when G‑d created man he called him Adam, for from the Adamah, Hebrew for the Earth, G‑d made him. Our Rabbis teach us of the spiritual importance of returning that physical part of us to its source in the Earth so that the spiritual soul can feel free to return to its source in Heaven. It is also interesting to note that in accordance with Jewish tradition any object, which was utilized for a holy purpose, must be treated with reverence. A Jewish person would never think, heaven forfend, of throwing a Bible, prayer shawl, or other sacred object in the trash. These objects are ceremonially interred in what is called a Genizah at a Jewish Cemetery due to the honor that we hold them. Surely a Jewish person whose mission is to bring a revelation of Godly light into the physical world deserves no less respect than the book or prayer shawl that he uses. Of the Jews of Europe it is often said that in many places all that is left of them is their graves. With assimilation, intermarriage and conversion the American Jewish population is at great risk of fading into history. It seems, unfortunatly, that some of our brethren would not even leave a sign that we were ever here. The time has come for us, so to speak, to make a line in the sand. Through Jewish education, synagogue affiliation, and Jewish observance of our Mitzvot we can turn the tide against a potential national religious Holocaust. Lets all work together to return to our beautiful Jewish Heritage in all of our ways. The beauty of entering an eight day old baby into the covenant of Abraham, the joy that comes from raising children with the proper Jewish education, the community that comes with regular attendance in the house of worship and study, the satisfaction of charitable acts and yes, even the holy duty of guaranteeing that we don't place any more nails in the coffin of Jewish Heritage.